Do you own a Kindle or a nook and feel like you’re reading more than usual? As it turns out, it’s not just in your head. A recent study has shown that 40% of ebook reader owners read more than before, while 58% read at least the same amount! No wonder ebooks are growing at triple-digit rates! There are some fascinating statistics cited in the Wall Street Journal regarding ebook readers. Apparently, some studies have shown that people reading ebooks on a Kindle or nook read SLOWER than readers of paper books. Even more interesting, there was a slowdown even with iPad users, so eInk was not the bottleneck. And yet people are still reading more on ebook readers than paper books, so the slowdown clearly isn’t enough to stop them! Personally, I’ve never timed myself while reading paper versus Kindle, but my perception has always been that I read books more quickly on the Kindle. The Wall Street Journal theorized the rise in readers was due to the portability of Kindles, nooks, and iPads. I think that’s probably a big part of it, but the WSJ ignored another major factor in ebooks: PRICE! Even with higher prices from the “agency model”, ebooks still run 40-50% cheaper than their hardcover counterparts, and usually a few dollars cheaper than their paperback ones. When you can not only carry the NY Times bestseller list with you but also buy it for half the cost of the paper counterparts, you’re bound to spend (and read) more with the same book budget. I also wonder if increased sales of ebooks have to do with justifying the hardware purchase. If you buy a paper book and it sits on the shelf unread, you’re out a few dollars. If you don’t use your Kindle or nook, you’re out significantly more cash. So while the study didn’t specifically measure that, I wonder if there’s a drive to keep reading and buying ebooks to use the shiny, expensive new device. Well, that and it’s just incredibly convenient and easy! In any case, more people buying ebooks and using ebook readers is definitely a good thing! In an age where it seems like reading is declining, it’s exciting to see spots of growth. And the success of the Kindle 3, the nook WiFi, and similar devices is proving there’s space for ebook readers and tablets in the marketplace. 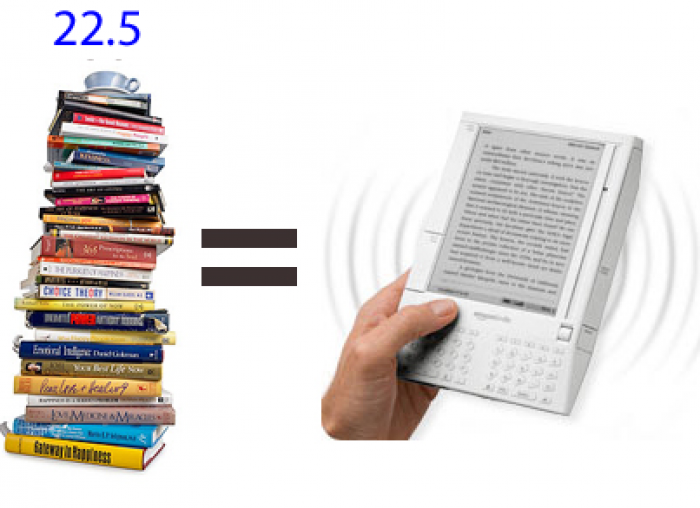 I’m curious: Do you read more with an ebook reader than you did before? And do you feel you read slower or faster on an electronic device?